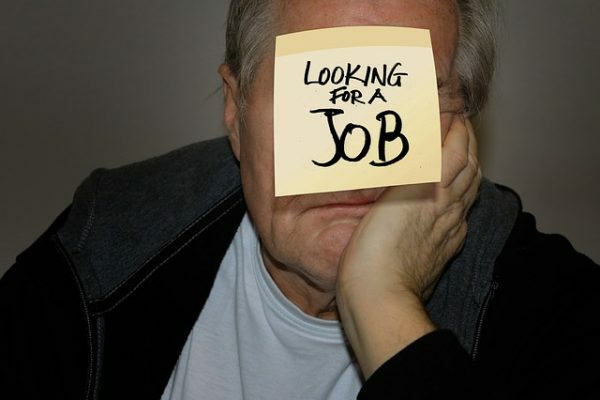 Do you have clients who are stuck in the job search? You are here: Home / Career / Clients Stuck in the Job Search? Now What Do You Do? I’m sure you do. Here is one way to help nudge them and hopefully create some excitement to move forward. When I have a client who is stuck in the job search I have them create a list of 50 companies they could see themselves working for or would like to explore working for them. Oftentimes, clients feel overwhelmed with where to start, confused, can’t see themes to explore in their job search, or for whatever reason, are just plain stuck in the job search process. By having them create a list of 50 companies to explore, they can then begin doing some research, reaching out to their network, and exploring…and it feels like forward progress. Because it is. The goal is to simply list 50 companies and not spend more than 5 minutes or so on any one site. Encourage them to trust their instincts and let “intentional serendipity” be their guide. “Intentional serendipity” is taking action, doing something like exploring the below website, and then be open to discovering something by accident. Start by exploring sites similar to Best Places To Work in Maine. Most states, regions, and even cities will often have this list. I like people to begin here because most of these companies will have positive work cultures. Many clients I work with are very unhappy with their company culture or their boss and it can be difficult for them to see the positive in their career search. Other great sites to check out might be GlassDoor.com, Indeed.com (who’s hiring), and search ‘best companies to work ____’ and see what suggestions come up below that search. My search came up with ‘best companies to work remote, part-time, and freelance’ and many others. Trust those instincts. They kept cave men alive over the years. Go through their LinkedIn 1st connections and look for people who might be doing work that interests your client. See where these people are working, or worked. Of course, they can add any company they know of that interests them. The goal is to get 50 names of companies, as quickly as possible, on to a list. Rate between 10-15 companies a #1 and 10-15 companies a #2. They now have 10-15 companies #1’s to start with and do additional research. Help them set a goal of researching at least ____ number of their #1’s each day or week. By limiting the number it becomes manageable. Start with the #1’s and go to their website and social media sites. In a career journal begin taking notes. At this point, try not to spend more than 15 minutes on each company. Which values align with them? Are they growing? Declining in their field? What jobs interest them at this company? Do any of these companies have anything in common? Is there a theme? The goal is to identify the top few companies to begin further exploration. Maybe the top 3-5 so they can get some momentum going and to not be stuck in the job search anymore. Now have them reach out to people who work there or did in the past. Ask for 10-15 minutes of their time. This is always easier if they are ‘warm connections’ like 1st connections or people they know. Have them start simple and stay focused. What do/did they like about working there? Was there anything they didn’t like about the company? Or wished had been different? Is/was there an opportunity to grow? Are there similar companies they could recommend? Are there any people they should talk to and can they connect them? After this, they can continue to all their #2’s and #3’s on their list of 50. The key is to break the process down into something manageable that helps them gain an understanding of what the options are out there. This will also help them focus their efforts. When you have 1000’s of companies to explore it is hard to begin. By narrowing down the list they can then prioritize. Once they identify top companies they can start paying attention to them on social media, follow them, and continue to learn more about opportunities. It really is about effort and forward progress. “Action” is where intentional serendipity happens and sometimes it is the little things that can help someone get unstuck in their job search. I stress it because in 7 years of helping people find jobs, I find that they often stick to what they can find on-line, instead of taking advantage of things that their taxes have paid for already. Great point! I love libraries and librarians. They are the most resourceful and helpful people. And you are correct that, all too often, people just keep going back to do the same thing over and over…online. Hi Jim, This is great! I’m always telling clients to look for companies they might want to work for. The ideas you share here takes it a step further by giving clients a methodical way of processing what they find. I’m borrowing this!! And I agree with Rich that reference librarians are another fantastic resource. Thanks Moira and so glad you find the steps helpful. This is not a new idea but sometimes it helps to write out things to give them a little more structure.